The bus network is even more extensive than the trams. They run frequently and are clean and modern. Just like the trams, they get packed during rush hour. There are also special trolley buses, which are quite similar to regular buses, but are numbered a little differently. Fun fact: the trolleys are numbered starting at 70, because they began running on Stalin’s 70th birthday. 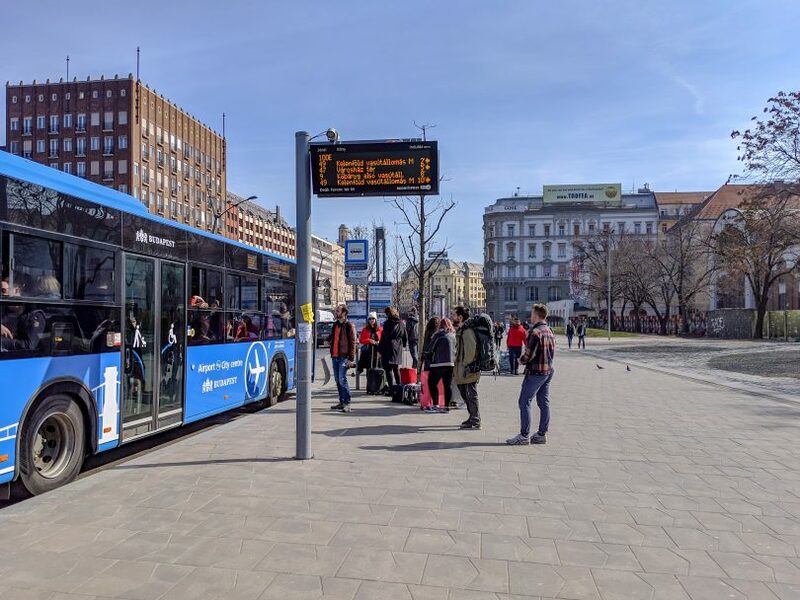 This is the 200E bus, with service from Budapest Airport to the city center. Some bus stops have ticket machines where you can purchase a single-use ticket. If there is no machine, you can purchase a ticket directly from the driver. However, the tickets on board cost 100 HUF more than if you had purchased ahead of time. Validate single-use tickets on board the bus. If you’re using the Travelcard you do not need to validate. 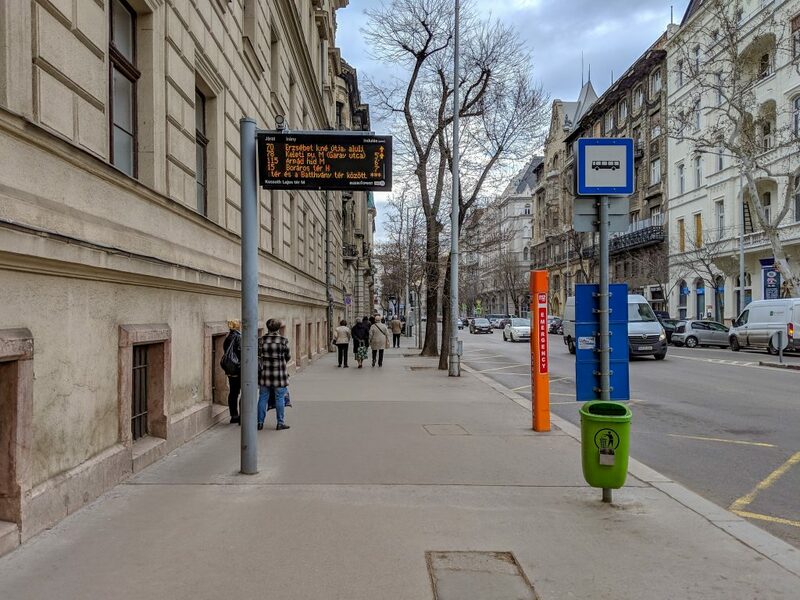 Many bus stops in Budapest are equipped with electronic signs that tell you which bus is coming next. We appreciated these signs letting us know we were at the right stop. However, once you’re on board, some of the buses didn’t have signs or announcements for the next stop. And, if there are no passengers boarding or disembarking, the bus doesn’t always stop. This is where Google Maps came in handy- we referred to our phones to see exactly where we were along the route. Be prepared to press the button to request your stop. A great bus ride is #27 to the top of Gellért Hill, to see the Citadella. It is a smaller bus that ambles up residential streets before reaching the peak. You can read more about that here. 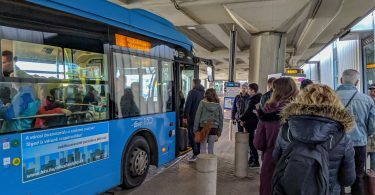 Our favorite method to get to and from the airport is by bus. 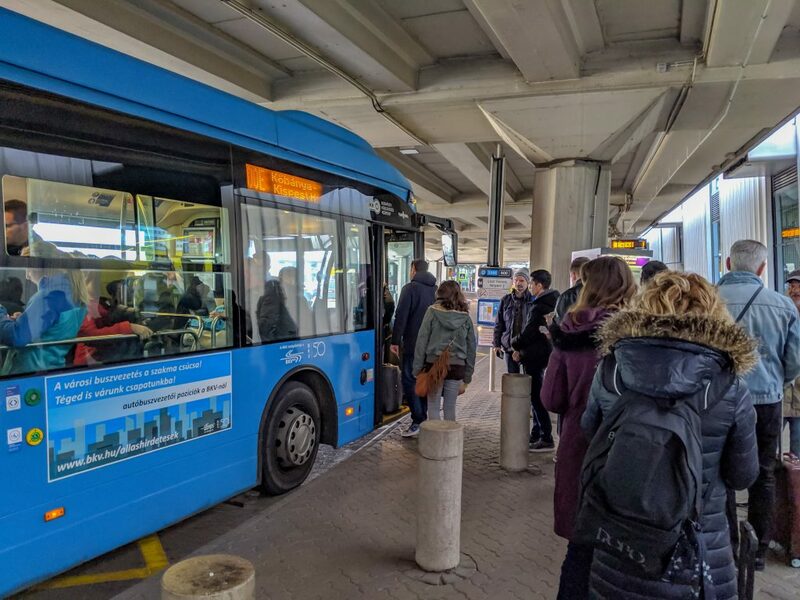 Click here to read more about public transportation to Budapest Airport. 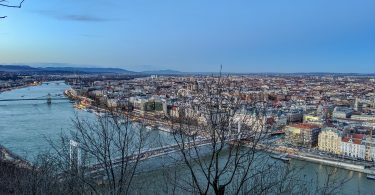 To return to our main menu about Budapest Public Transit, click here.